Thanks to a unique combination of traditional knowledge and modern technology, Kaas-Pack Holland’s cheese products are customised to the needs and production process of different customers throughout Europe. You can count on our continuity, specialist knowledge and skills. 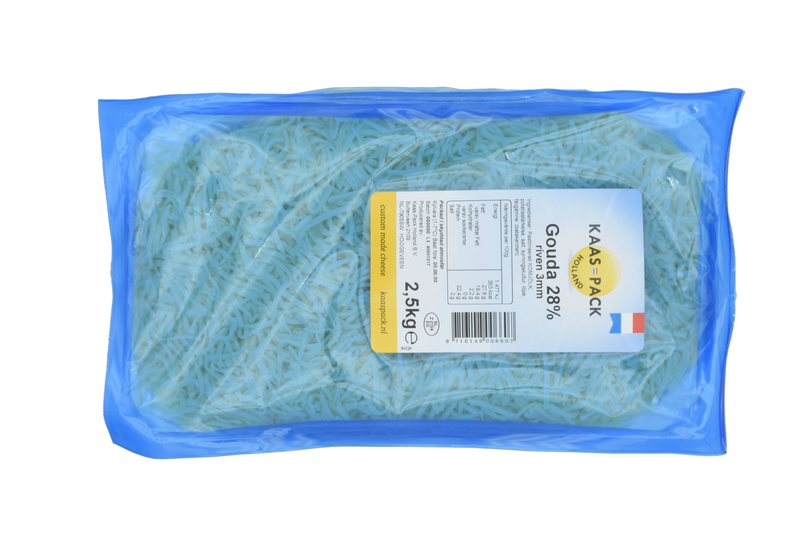 To guarantee the freshness of your cheese, Kaas-Pack takes great care over packaging. 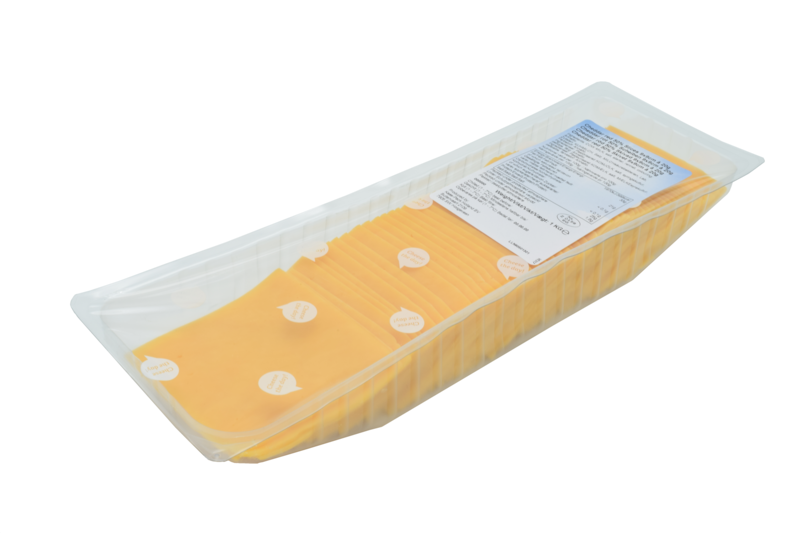 All processed cheese is kept in airtight gas packaging, to guarantee a shelf life of at least 63 days. The packaging can be customised to meet your requirements. For example, the label may include your logo, barcode, and article number. Labels in a different shape are possible as well. products in plastic crates, (pallet) boxes, technifils, on H1-pallets, block pallets or Euro pallets, for instance, in a way that best suits your needs.